Image by Kim Ludbrook/EPA via The Conversation. PRETORIA (THE CONVERSATION) -- South Africa’s African National Congress (ANC) is mired in a serious leadership crisis, and President Jacob Zuma faces an ignominious end to his political career. The 74-year-old has refused to take responsibility amid corruption and conspiracy charges. Having been replaced as party president by Cyril Ramaphosa in December 2017, he now faces the choice between resigning or taking his chances with a no-confidence vote in parliament. Zuma’s presumptive successor, Cyril Ramaphosa, is not exactly the embodiment of radical change. 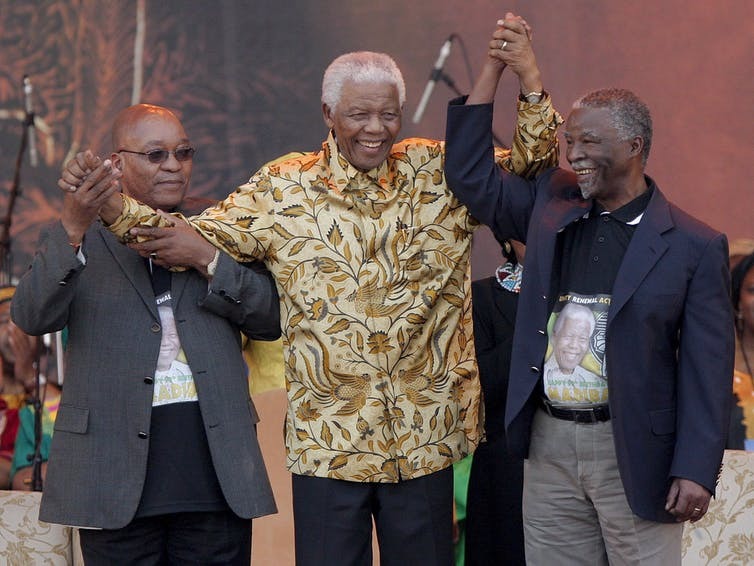 But once Zuma is out of the way, Ramaphosa will have the chance to finally seize the impetus for a true political transformation – to find a way of tackling poverty, violence and discrimination while reforming the ANC from top to bottom.